There still seems to be much confusion about the terms “logistics” and “supply chain management”. Much like accounting, SCM takes a cross-functional perspective within an organization (this includes purchasing, R&D, marketing, sales, IT, and – logistics), but goes beyond the first and second tiers on both the supplier and customer sides. 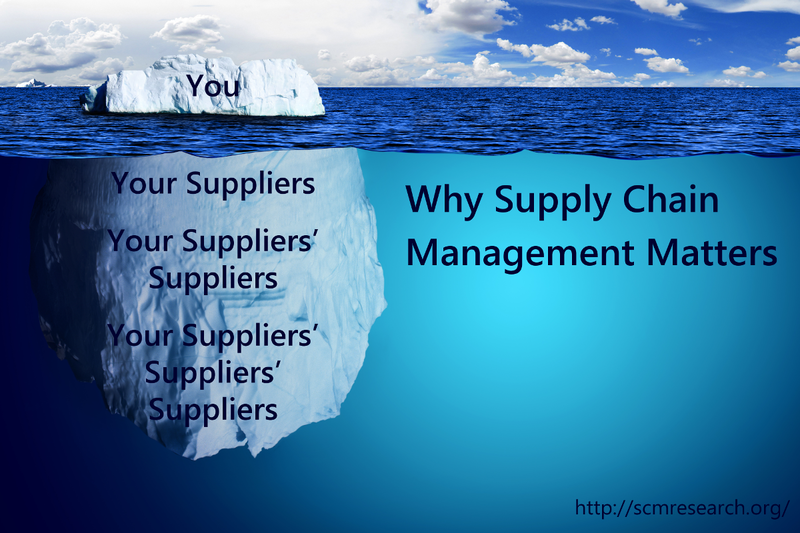 Therefore, supply chain managers are typically concerned with managing the relationships with channel partners. SCM relates to questions like: How can the bullwhip effect be avoided? How can production be ensured if a supplier’s supplier’s plant burns down? How can CO2 emissions of a product be measured, including the emissions of a supplier’s supplier’s plant, an LSP’s trucks, and disposal by consumers? What alternative types of governance are available to coordinate with a second-tier supplier or a retailer, if a direct contract with them is impossible (or you don’t even know who they are)? A logistics manager might ask some of these questions, too, but isn’t she mainly concerned with managing the flow and storage of goods and services? “Everything has to be measurable!” seems to be the new academic doctrine. In the current issue of BizEd Magazine, Sharon Shinn delivers a detailed description of the problems associated with measuring scholarly impact. She concludes: “Tenure-track faculty continue to absorb responsibilities that take time away from conducting research, but the number of A-journal publications is still the primary metric that is considered in faculty evaluations. And that’s a problem still looking for an answer.” If A-journal publications are the primary metric, this could, for example, also prevent us from writing a good book (writing it can take several years! ), even though it might be read all over the world. A key reason why people argue for exactly the kinds of rankings Shinn critiques is that they avoid the need for argument between competing factions with different views. Metrics are really useful in support of decisions. But the problems start when they are made.